Sterling Silver Pendant with a 5 mm. Pearl and a 45cm. chain in a simple and youthful design. A perfect gift along with the matching Earrings! Sterling Silver Pendant with a 6 mm. Pearl and a 45cm. 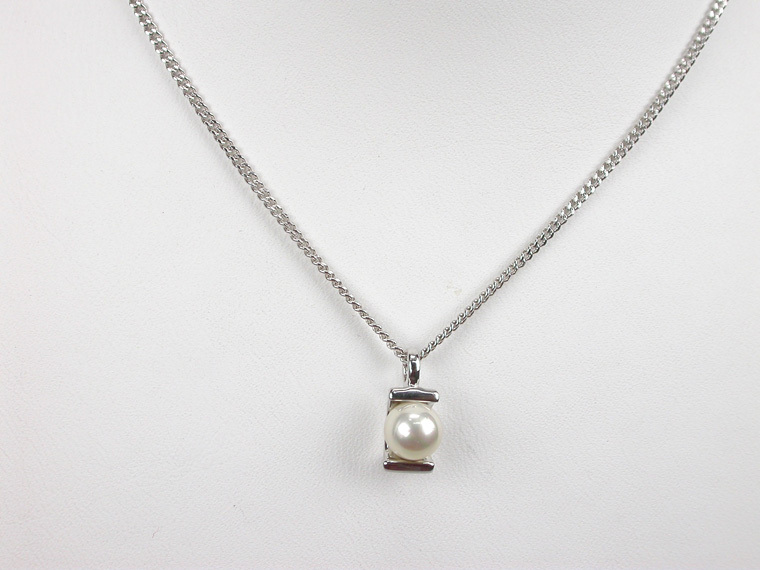 chain in a simple and youthful design. A perfect gift along with the matching Earrings! 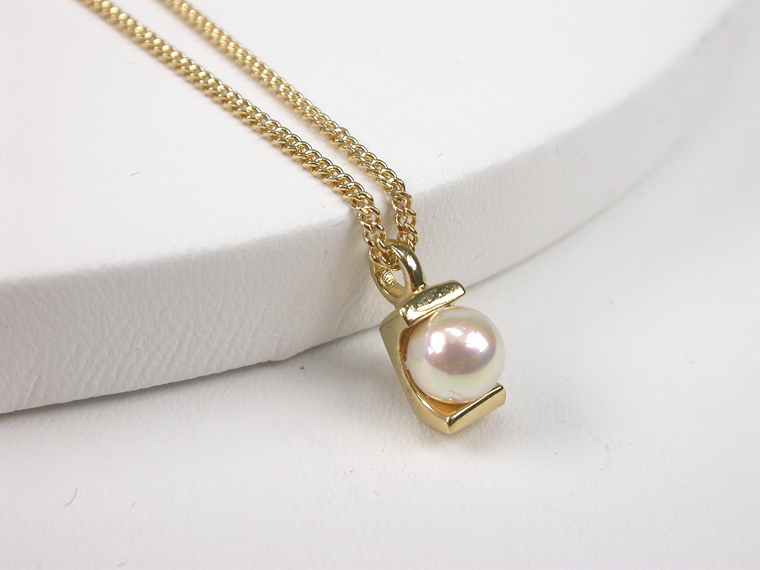 18 karat Goldplated Sterling Silver Pendant with a 6 mm. Pearl and a 45cm. chain in a simple and youthful design. A perfect gift along with the matching Earrings! 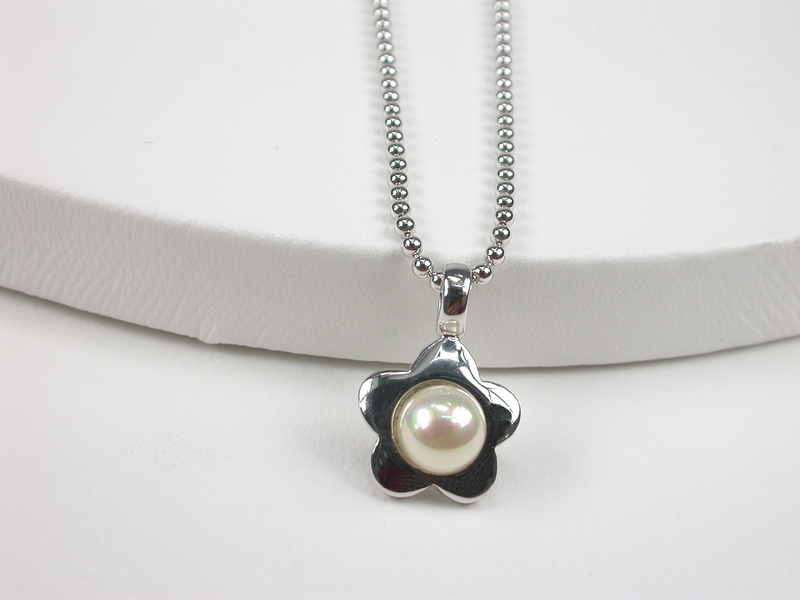 Lovely Sterling Silver Pendant in shape of a flower with a 6 mm. cabouchon Pearl on a 45 cm. long chain. A perfect gift for a small Princess! 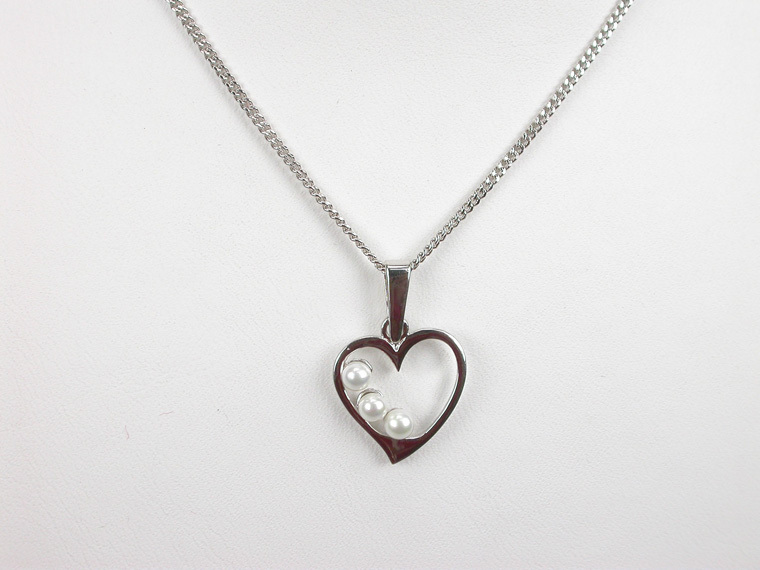 Romantic and graceful Heartshaped Sterling Silver Pendant with 3 small white Pearls and a 45 cm. long Chain. 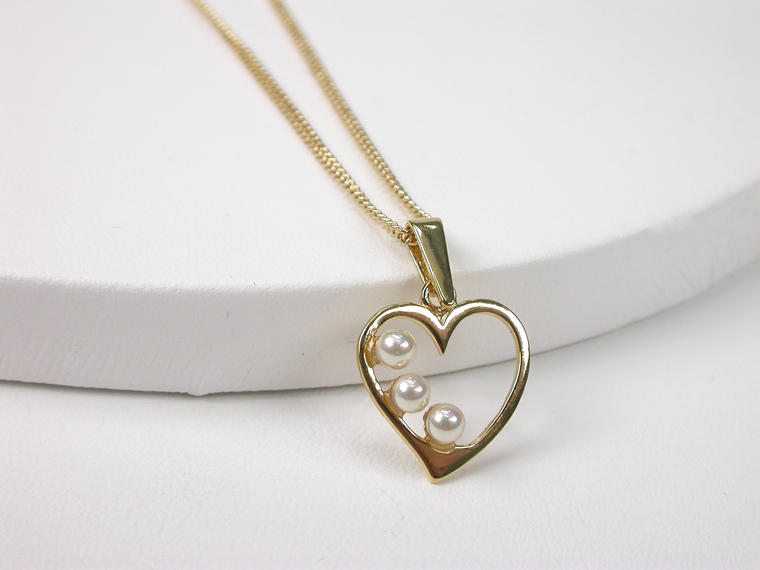 The size of the Pendant is 14x19 mm. 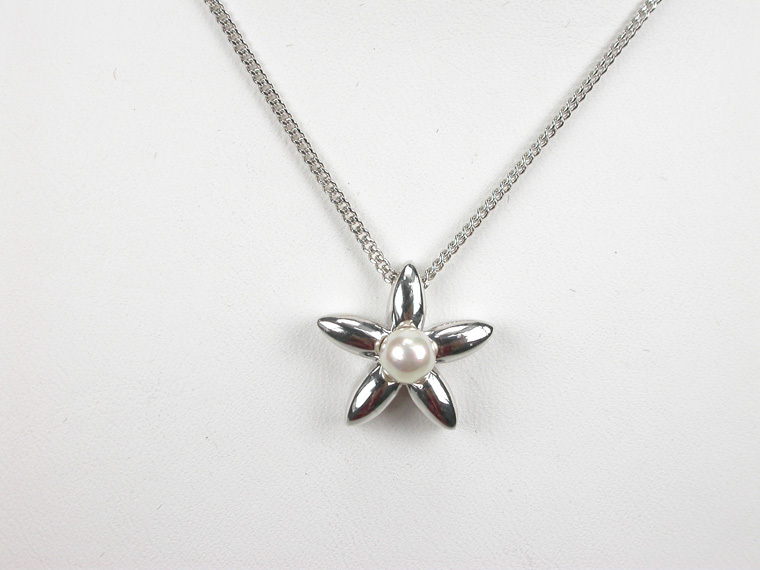 This very original Sterling Silver Pendant with a 5 mm white Pearl is inspired by the shape of a Starfish. It comes with a 45 cm. 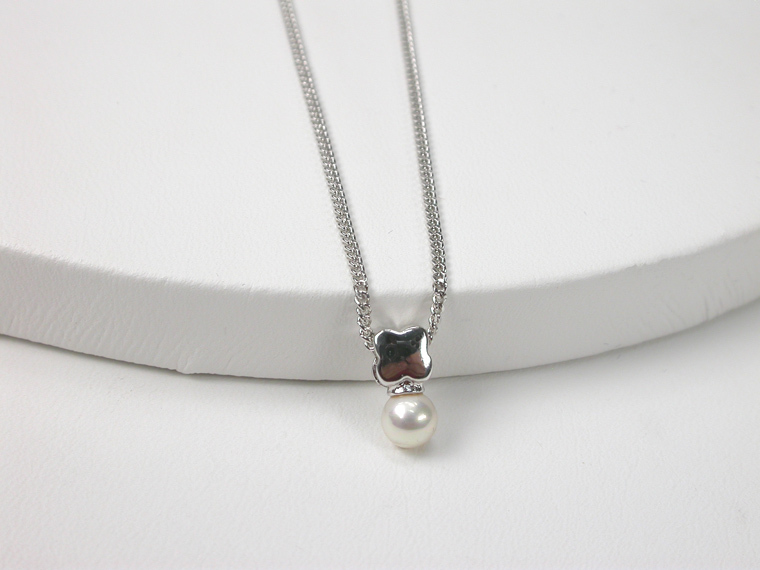 chain and the size of the Pendant is 14x14 mm. Get the perfect touch with the matching Earrings!